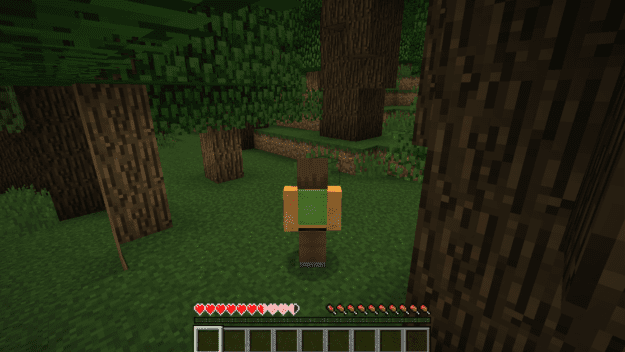 Topography allows you to explore custom terrains to make new worlds that much more interesting. 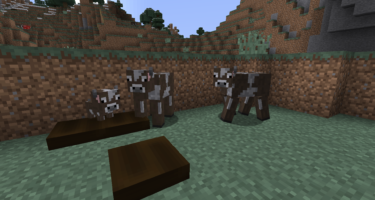 You can make the nether a more terrifying place by generating it with cell noise. 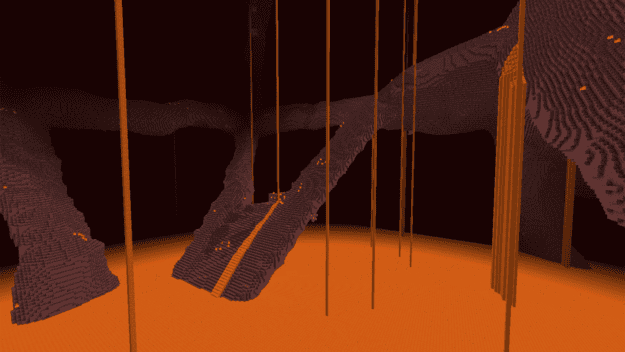 This new Nether has vast land masses jutting in random directions and lava pouring from the ceiling. You can even remove the ceiling of the Nether entirely. 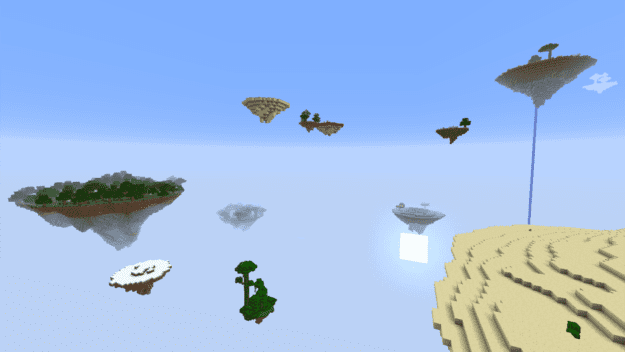 You can also create a series of Sky Island worlds, some that are just like any other world with varying biomes all floating adjacent to each other. 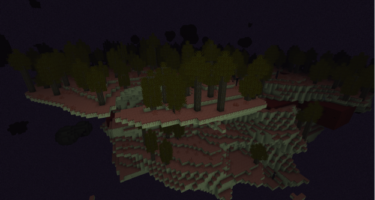 Or you can generate a Sky Island realm where anything darker than light level 7 will deal damage. 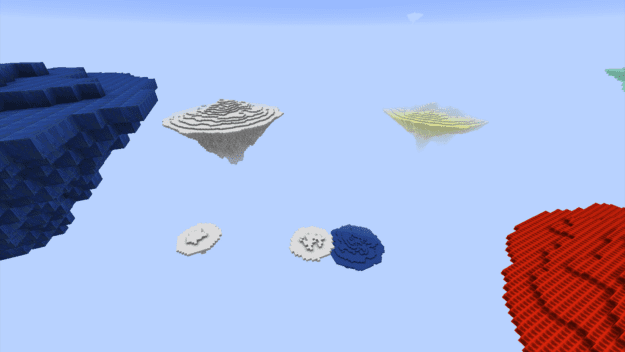 Or you can go a bit more whimsical by creating a Sky Island world where all the islands are made entirely with a random assortment of blocks. 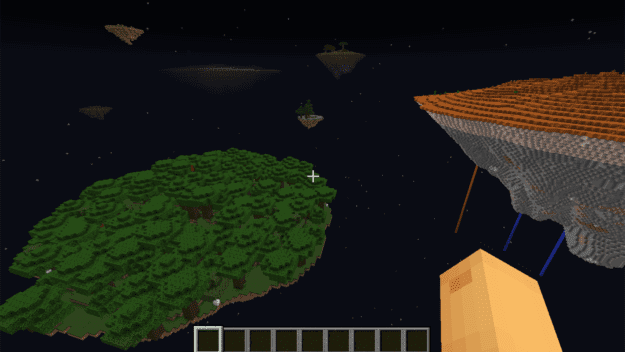 You may come across an island made of diamond blocks or one made of spider webs! 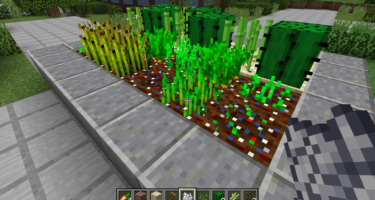 This mod is great for those who create mod packs or other mods that create multiple dimensions since the variety can be customized to fit your needs. It also requires an additional API found here.